This past year marked an important milestone for our congregation – our 50th anniversary, JRC’s Jubilee Year. During the course of the year, we celebrated in a variety of different ways at events organized by our inspired Jubilee Year Committee. Among the most memorable for me were a series of Friday night services held throughout the year to honor the various generations of our congregation. At each service, we highlighted a different group of members, from longtime to the most recent. And at each service, I invited them to share their memories of JRC with one another: an anecdote, a story, an event that still remained significant to them. I found these remembrances to be enormously, often unexpectedly powerful. In particular, it was humbling to consider how far our congregation had come since its founding. The cumulative effect of these services drove home for me just how far JRC has traveled in its first 50 years. Congregants shared about the early days, in which JRC first met, originally as a Reconstructionist study group founded by Anshe Emet members. We heard about the so-called “Shlep-a-Shul” days, when JRC met in members’ homes and later in churches and Chute Middle School. We heard about the hiring of JRC’s first full time rabbi, Arnie Rachlis, and the purchase of our first permanent home at 303 Dodge. Members shared their memories of our fateful decision to start our first Capital Campaign, the construction of our new synagogue facility and the day we learned it had been awarded LEED Platinum status, making it the greenest house of worship in the country. As I listened to these memories, it occurred to me that one secret to JRC’s success has always been its fearlessness – its culture of openness to change. Not simply change for change’s sake, but rather the kind of change that exemplified the philosophy of Reconstructionist Judaism. Change that stems from the understanding that Jewish civilization has always been a dynamic and evolving organism – and that successful congregations are the ones that are willing to make the changes necessary to remain relevant to ever new generations of Jews. I remember first learning about JRC when I was in rabbinical school in the late 1980s. I actually visited here as a student intern in 1991 to lead programs at JRC’s annual Memorial Day retreat, or Kallah. It was Rabbi Rachlis’ last Kallah as rabbi, and the beginning of a new chapter at JRC. Unbeknownst to me at the time, it was the beginning of a new one in my own life as well. I know I’ve shared with some of you that when I was in rabbinical school I consistently swore up and down that I had no intention of being a congregational rabbi. I was pretty cynical about congregations and believed them to be more akin to middle class membership organizations than spiritual communities. But in my final year as a rabbinical student, I had some wonderful experiences with congregations that knocked me right off my cynical high horse – and my weekend at the JRC Kallah was certainly one of them. I was so deeply impressed by the seriousness of its members, its experimental spirit, its openness to embrace new ideas and ways of experiencing Jewish tradition. As it turned out, I became a congregational rabbi immediately upon graduation from rabbinical school – and to date it’s the only kind of rabbi I’ve ever been. 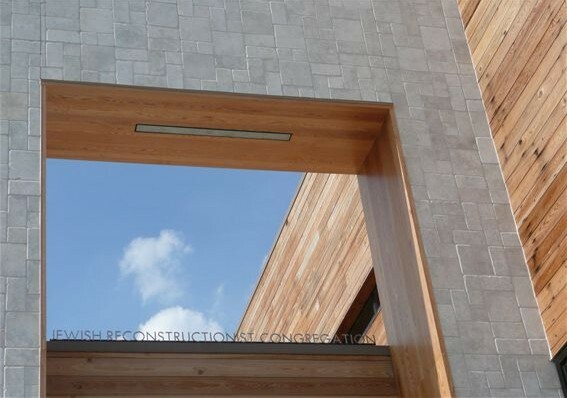 I’ve been a congregational rabbi for over 20 years – most of them here at JRC. And while I’m still critical of congregational Judaism in many ways, I also know from first-hand experience that congregations do have the potential be places of spiritual inspiration, of transformation and change. First and foremost, until I started to serve at congregations, I never fully understood the power of Jewish community and Jewish tradition to change lives. As congregational rabbis, we are let into people’s lives in a way that I can only describe as “spiritually intimate.” We’re invited into our families’ joys and sorrows and everything in between – and in so doing we bear witness to the ways Jewish tradition represents a spiritual roadmap for the most profoundly charged moments in our lives. Words cannot do justice to the honor I have felt to have shared such moments with you in so many ways over the years. To put it simply, we have been through so much together. When I think back on my years at JRC, I know that my first memories will invariably be these myriad of life moments: B’nai Mitzvah, funerals and shiva calls, weddings and baby namings and the countless simple moments when I was able, in some measure, to be part of your lives on behalf of your spiritual community. It has enriched my life immeasurably and for it all I will be forever grateful. And when I think of these past seventeen years in the collective sense, I am struck by the numerous ways JRC has shown me how congregations can become Jewish laboratories for the work of Tikkun Olam – for social justice at home and around the world. I can’t even begin to tell you how many times rabbinical colleagues have approached me over the years to tell me how much they admire our congregation in this regard. I’ve been asked by countless rabbis and lay people about the secret of our success, and how they might plant the same kind of passion for Tikkun Olam in their own synagogues. Shortly after I arrived, I heard in no uncertain terms from a number of members that JRC’s social action programming had been languishing in recent years. Other than our participation in the monthly soup kitchen, there was really no ongoing Tikkun Olam activity in our congregation to speak of. From the very beginning of my tenure here, I sensed a deep and palpable desire to revitalize JRC’s involvement in the arena of social justice. So with the help of some inspired JRC members led by Gail Brodsky and Reggi Marder, of blessed memory, we decided to rebuild JRC’s social action program from scratch. We started by dissolving the social action committee. We did away with the common congregational system that delegates social action priorities to one relatively small group of congregants – and in its place we created a more grassroots approach – one that was grounded in the ideals of community organizing rather than organizational programming. We designated members as Tikkun Olam coordinators, who then put out a call to the congregation, announcing that JRC would now support any social action initiatives that congregants saw fit to organize. We reached out to members who had passion, experience, or skills in any particular field of social justice work and gave them the wherewithal to do it Jewishly, under the auspices of their congregation. Our members responded to this call almost immediately. And it’s not an exaggeration to say our new system had a transformative effect on our congregation. Here are two examples: One of JRC’s very first initiatives was our Environmental Task Force. When it began, it concentrated largely on internal policy issues, congregational education, consciousness-raising about JRC’s use of recyclables, etc. However, when JRC started to explore the prospect of building a new facility for our congregation, the Environmental Task Force broadened its vision. It met with our Board and proposed that we build our new home as a green building. Now this was back around the year 2002 or so, when environmental consciousness was not yet so firmly planted on our national radar screen. Many of us had only the vaguest notion of what a green building even was. But to their credit, our leaders educated themselves and our community about and sustainable construction and energy efficiency – and about the very complicated LEED certification process. Then we took the leap and committed to building a new building at the highest LEED status feasible. At that time, none of us had any notion what that might mean. We certainly didn’t dream we would eventually achieve a Platinum rating – the highest rating possible. While today JRC has a well-deserved reputation as a green congregation, it’s important to keep in mind that our congregation didn’t have a long history of environmental activism. Our accomplishments were a direct product of our new culture of Tikkun Olam – an approach that invited our members themselves to take ownership of our congregation’s social justice values and priorities. Here’s another example. Another one of our earliest task forces was our Global AIDS Task Force. When it began, it was also largely educational in orientation – it sponsored an annual World AIDS Day program and helped raise funds and awareness about the efforts to fight the HIV/AIDS pandemic at home and abroad. But after a few years of this work within our congregation, the leaders of this task force decided it was time to take things to the next level – and organized a service trip to Africa. Again, up until this point, JRC did not have a history of organizing international service trips. I certainly never dreamed that as a rabbi, I would some day accompany my congregants to work with NGOs in rural Africa to serve communities ravaged by AIDS. To date, JRC has now visited Uganda and Rwanda three times and has created lasting relationships with courageous important NGOs such as Rwanda’s We-Act and CHABHA. But again, we were only able to accomplish all of this when we made the decision to give Tikkun Olam back to our members themselves. When I look back over the most recent chapter of JRC’s life, I personally believe this will be its most important legacy: the creation of this new congregational culture for the work of Tikkun Olam. And as JRC enters its next chapter, I encourage you to continue to nurture it – and build upon it. Despite what JRC has already accomplished, I can’t help but think we’ve only just scratched the surface. Learn more about these initiatives and support them. If any of you who may have passions or experience or skills in a particular aspect of Tikkun Olam, please know that this congregation can be your laboratory for doing this sacred work. I can tell you from first-hand experience these initiatives have the potential to make a very real difference in the life of our congregation – and more importantly, in the world around us. I’d like to address another aspect of JRC’s Tikkun Olam work that I believe has been crucial in its most recent chapter – and it is one I believe will only become even more critical in the years ahead. And that is, namely, the issue of Israel/Palestine. This is, of course, not just any other Tikkun Olam issue; in so many ways it is the issue for the Jewish community. Last night I spoke about the ways I have evolved on this issue – and how my evolution has impacted on our congregation. And while I know it has been painful – and that this issue was eventually instrumental in my decision to leave JRC, I do believe it has also led our congregation to respond and grow in courageous ways. Another bit of history: several years ago, in response to the growing tensions caused by my Palestinian solidarity activism, the JRC Board reached out to consultants to help us to create a process for civil discourse on this issue; to build a culture of openness to all views and the development of safe spaces for conversation and programming on Israel/Palestine that truly reflected the range of our members’ views and concerns. This work resulted in what we eventually called the “Sicha Project,” in which we trained JRC members to become group facilitators to be used whenever we addressed difficult or potentially controversial aspects of the Israel/Palestine issue together as a community. At the same time, we created an Israel Program Committee charged with the creation of a wide variety of programs on this issue. The Sicha Project was, I believe, a truly courageous approach to a deeply difficult issue that most congregations generally deal with in one of two ways: monolithically or through abject avoidance. And for a time, at least, I do believe JRC’s approach provided an important model for a new kind of congregational engagement on Israel/Palestine. I’m sorry to say that this initiative broke down over the last few years. There are many reasons for this. I believe we failed to remain as vigilant as we should have been in bringing new leadership aboard and I believe the work of our first Israel Program Committee became paralyzed and left to languish. But whatever the specific causes of this breakdown, I don’t believe for a second that it was due to anything inherent to the model itself. Now more than ever, our congregation needs to come together to discuss this issue openly and I do have faith that we have the wherewithal to make it succeed. Over the past year, a new Israel Program Task Force has been hard at work revitalizing and rebooting this process. It has created a new policy for inclusive Israel programming that has been presented to and approved by the Board. And we are now poised to restart the Sicha Project once more. Despite the immense challenges of such an initiative, I believe this is still the model of how congregations can respond to this difficult issue with sensitivity and courage. I would also suggest that if JRC wants to remain on the leading edge of trends in American Jewish life, it would do well to face this issue head on. There is every indication that attitudes about Israel in the Jewish community are widening. Studies show us over and over that the younger Jewish generation is questioning the role of Israel in their Jewish identity in fundamental ways. We can ignore or fight against this phenomenon – or we can face it head on. This is our Jewish future – and unless congregations create communities in which all views can be included and respected, I believe they will soon find themselves on the road to irrelevancy. One of the most important bellwethers of this phenomenon is the Open Hillel movement – a grassroots initiative of university students who have organized in response to Hillel International’s very narrow guidelines for what they consider to be appropriate Israel student programming on campus. Over the last few years, this movement has exploded in Jewish student communities across the country. Individual Hillels have been declaring themselves to be “Open Hillels” that allow a wide tent of points of view on Israel – next month it will be holding its first national conference at Harvard. Open discussion and debate is a Jewish value, and we are proud of our culture’s long tradition of encouraging the expression of multiple, even contradictory, views and arguments. However, Hillel International’s current guidelines encourage Jewish students to avoid seriously engaging with Palestinian students or other students on campus with differing views on Israel-Palestine. This is detrimental to the goal of encouraging mutual understanding, cooperation, and peace. Thus, we believe it is essential that Hillel-affiliated groups be able to partner with other campus groups in order to share perspectives, cooperate in those areas where we agree, and respectfully debate in those areas where we disagree. Our congregations would do well to develop this kind of manifesto. Perhaps it could provide us with the nucleus of a nascent Open Congregations movement, in which Jewish congregations openly declare their willingness to create a safe and wide tent for all points of view on this issue within their congregations. Although I’ve personally made the decision to leave congregational life professionally, I still do believe in congregations. And I’ll admit, I say this selfishly: quite frankly, Hallie and I would love to find a congregation in which we ourselves can make a comfortable Jewish home. But even more than this, I do know from over 20 years of first-hand experience, that congregations can be exciting, relevant places that don’t just hold on to a Jewish past but mold the Jewish future. I know it can be done. But we if we do decide to throw our weight behind congregational Judaism, we should have no illusions about the challenges this will entail. To put it bluntly, liberal Jewish congregations are not a growth industry in America. Every Jewish community-sponsored study tells us the same thing over and over: the overwhelming majority of American Jews do not affiliate with congregations. Synagogue membership is shrinking considerably, and increasing numbers of congregations are closing their doors. And while I know that there are many complex reasons for this, I am convinced that the only way we can respond is to take a good hard look at the reality of the Jewish community – and to create congregations of relevance and meaning that will lead us into our Jewish future. I know for a fact that JRC can be one of those congregations. It’s been doing it for the past 50 years and I’ve seen it with my own eyes for the past 17. I thank you for providing me and my family with such an exciting and vibrant Jewish home. I have no doubt you will go from strength to strength and I look forward to watching it happen. This entry was posted in American Jewish Community, Green Buildings, High Holidays, HIV/AIDS, Israel, Jewish Community, Palestine, Rwanda, Sermons, Uganda on October 2, 2014 by Rabbi Brant Rosen. Dear Brant, I am saddened to read (at least between the lines) that your congregation lost the will to accept your work as a friend of the Palestinian people and a loving critic of Israel. Best of luck in whatever new endeavors await you. Blessings on all your heads! Dear Mr. Bradlow, As you may not be aware, this blog, its subscribers and those who leave comments, try to be thoughtful and respectful in our conversations. The fact that your “comment” is a mere resort to name calling and vituperation speaks volumes about you, but says absolutely noting about anything else. What is the source of your anger? Have you nothing better to do with your limited time on this fragrant planet than to hurl hateful turds at others? I respectfully suggest that you take a good, long and hard look at yourself, and see what it is that is bothering you. Shalom, brother.